40 pages of end of the world fun! Battling the apocalypse and zombie hordes is a never-ending challenge. We discovered a manuscript that we had to publish, as a matter of public interest. 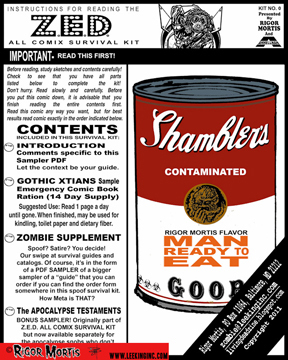 It will address some of those survival issues other guides tend to omit – like DIY cannibalism, skin care tips, and the realities of someone going from couch to bad-assed zombie killer (note: Dorito-breath does not deter zombies, just girls). 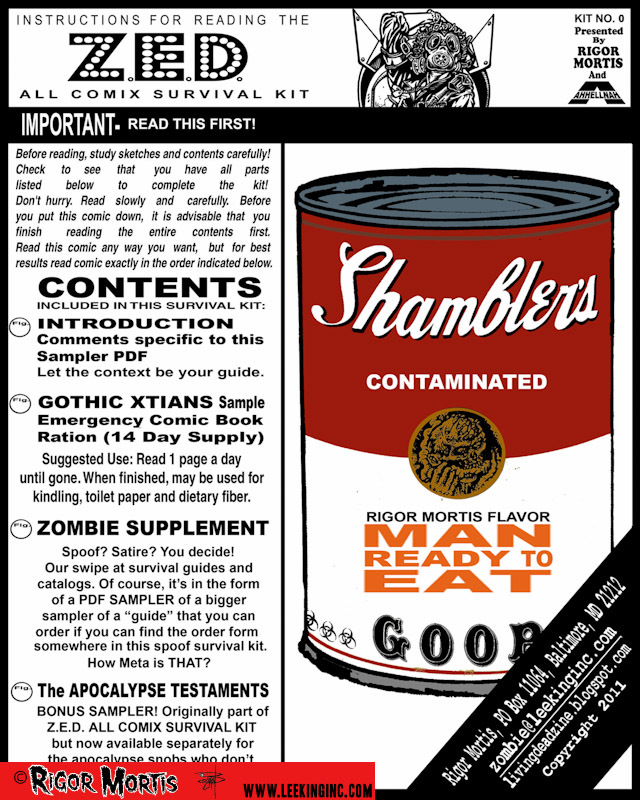 In addition to all these handy tips that may save your life (or make you want to take it), is a recently unearthed (literally) comic starring horror comic legends. They will show you how to DO the apocalypse like it is fashion week. 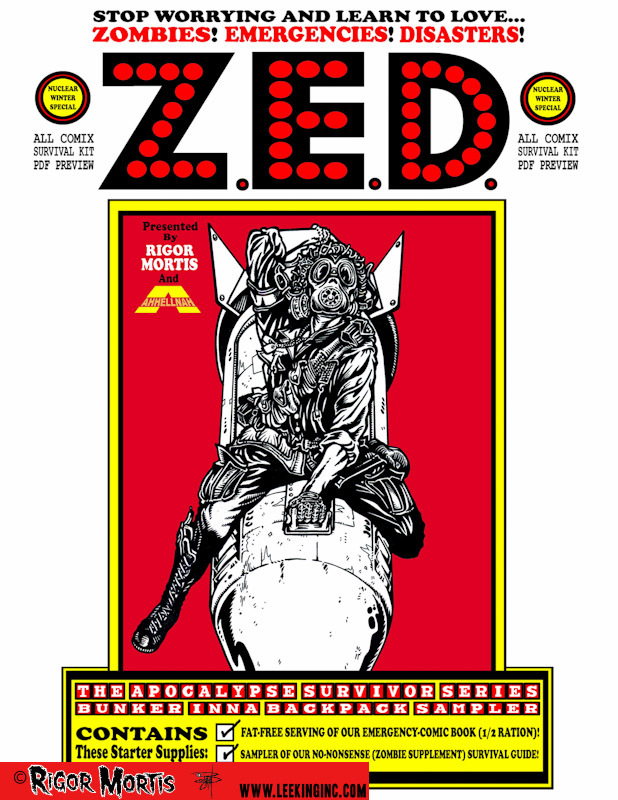 We are still conjuring the print edition but if you'd like to be notified when it is released email zombie@leekinginc.com.